Can't make it to the Great Hall? Eat like it anyway! 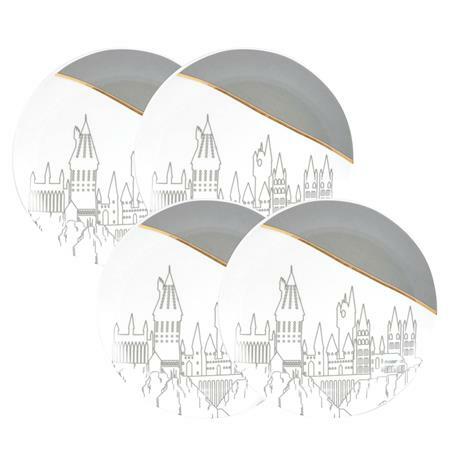 This Harry Potter dining set features four small plates decorated with silhouette line art of Hogwarts Castle in grey and white. Plates have a 6 1/2' diameter.